'''Project:''' According to the iGEM [[Requirements | requirements]], each iGEM team's project should be documented on the iGEM 2010 wiki site with detail enough to replicate it independently. Additional presentational information about the team - their story, the rationale for the project, failures, successes, future work, etc. - is highly encouraged. Remember that these wiki pages will be the main source of inspiration for future teams, and having good documentation on them and in the part description in the registry increases the likelihood of more teams building on your project and your parts. What is considered proper documentation is decided by the judging committee and you can find details about proper documentation at the [[Judging]] page. 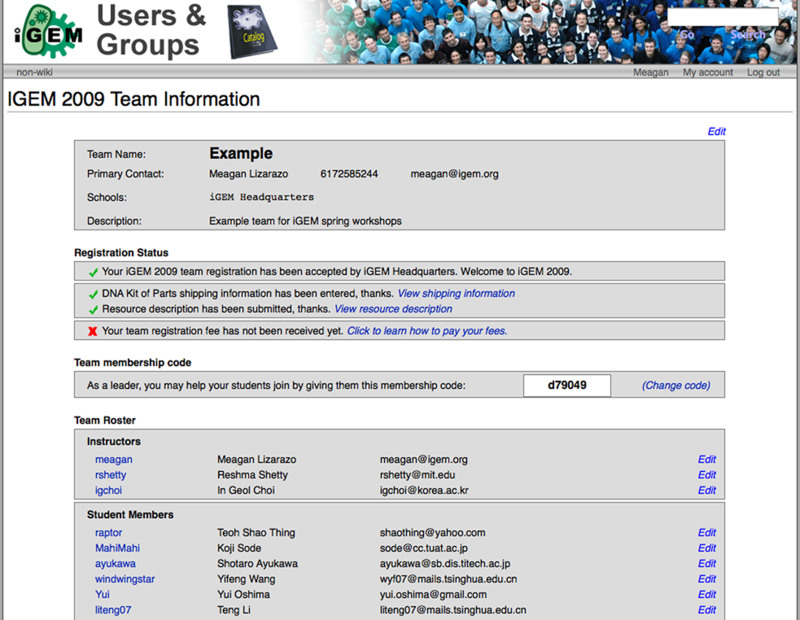 '''Parts:''' iGEM [[Requirements | requirements]] also state that all teams must properly document their parts on the [http://partsregistry.org Registry]. The judging committee also decides what is considered proper part documentation. See the [[Judging]] page for details. Remember, the success of not just iGEM, but all of synthetic biology, depends on the development of well-characterized, reliable, standardized biological parts that have been designed to be simple to use and understand.